CLOSEOUTS. 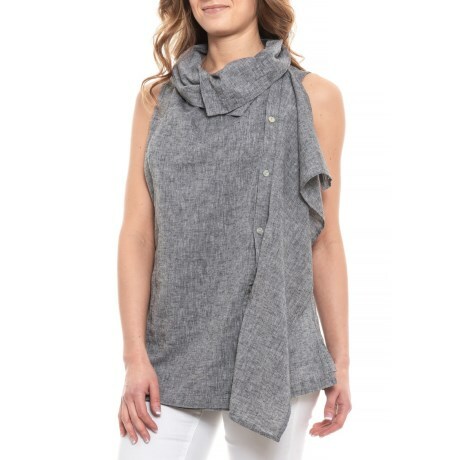 A relaxed fit, stylish dyed fabric and an asymmetrical front make this For Cynthia cross-dyed drape front shirt a warm-day casual standout. Available Colors: BLACK/WHITE. Sizes: S, M, L, XL.